​​The Community-Based Family Medicine Residency Program, based in San Antonio, follows the Teaching Health Center model and allows for residents to train on the front line of health care, providing services to those with the greatest health care needs. This program will train residents to provide community-oriented, patient-focused, high-quality primary care. We focus on providing healthcare to underserved populations and improving access to medical treatment. We are adressing the needs of the community and see our model as part of the solution for improved community health - one patient at a time. This program is made possible through a partnership with CommuniCare Health Centers and The Center for Health Care Services. The Community-Based Family Medicine Residency Program is a postgraduate training program accredited by the American Osteopathic Association and has achieved the status of "Initial Accreditation" with the Accreditation Council on Graduate Medical Education (ACGME). Upon successful completion of the program, the physician will be prepared to provide comprehensive osteopathic primary care to diverse populations in multiple clinical settings. The program offers the resident with well-structured training in both cognitive and procedural domains, which will provide primary responsibility for patient care in the inpatient and outpatient settings. This training will offer a variety of didactic and clinical experiences as well as utilization of osteopathic principles and practices relating to family medicine. Graduates of the residency program will have multiple opportunities to begin their career at a South Texas FQHC with options for medical student loan repayment. The mission of the CommuniCare Family Medicine Residency is to provide excellent clinical training while providing the highest quality health care to our patients. Current information on compensation, benefits, and stipend amounts will be posted on the website annually once confirmed by Human Resources. (www.uiw.edu/hr). 10 days paid vacation per contract period. “Vacation” is defined as time off for a vacation or personal time. Vacation Leave request require the Program Director’s approval. Unused Vacation Leave does not accrue and expires at the end of the contract. 5 days paid sick leave days total per contract period. “Sick” leave is defined as time off for illness. Sick Leave requests require the Program Director’s approval. Unused Sick Leave does not accrue and expires at the end of the contract. When it is anticipated that an extended leave is necessary for medical/personal reasons, the Resident must discuss with the Program Director. The Resident may also be entitled to benefits under the Family Medical Leave Act (FMLA), and other federal statutes. Other medical or personal unpaid leave may be granted with the approval of the Program Director, consistent with the AOA’s/ACGME regulations, as applicable, only after the Resident has exhausted all of his or her applicable leave benefits. Makeup time and /or repeat of training is determined by the Program Director. Nestled in the beautiful Hill Country of central Texas, San Antonio is a city full of history, culture, adventure and true Texas heritage. San Antonio is home to the Alamo, famously known by the 13 day siege in 1836 led by the Mexican Army against the 200 brave Texan defenders, which included James Bowie, William Travis and Davy Crockett. The Alamo is a lasting symbol of Texas fight for independence and a source of pride for many Texans. In addition to the Alamo, San Antonio is the home of 4 other UNESCO World Heritage sites that include 5 historic Spanish missions: Concepcion, San Jose, San Juan and Espada. 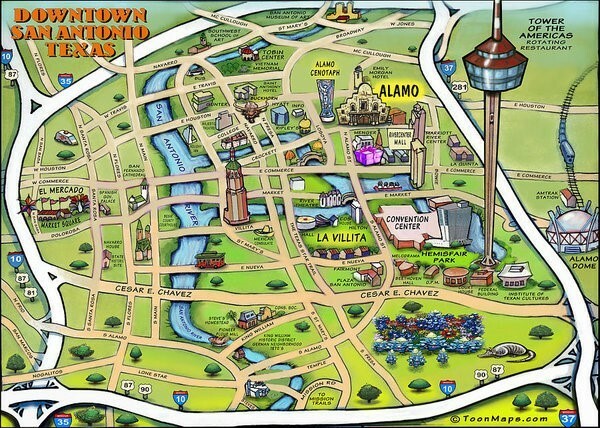 To see all that San Antonio has to offer from recreation to nightlife, visit the "Visit San Antonio" website. Wurstfest-10 day German heritage festival (like Octoberfest)!